By the widest of margins riding a bicycle is the most efficient and environmentally friendly mode of transportation in America. It also happens to be the most enjoyable way to tour and explore a new city. And we have put together a list of the best guided bike tours in the USA. Commute like a local with the help of a knowledgeable guide and take a spin around town. Here is a top 10 list of the best companies providing city and rural guided bike tours around the country. 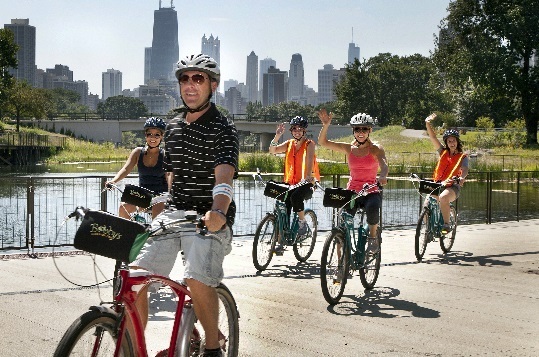 It was a hard choice whether to pick this tour or Bobby’s Bikes, Bites & Brews signature tour from this Chicago-based guided bike tour company that consistently ranks the #1 overall tour company in Chicago on TripAdvisor (since 2002). Bobby’s Bike Hike, by far the most affordable tour on this list with a price of $42 on their website bobbysbikehike.com, this tour company is also one of the longest running city tour companies in the country. And The Lakefront Neighborhoods bike tour is their longest running, exploring the Gold Coast mansions, Old Town historic district, Lincoln Park, and the amazing Chicago Lakefront Trail that hugs Lake Michigan. The views of Chicago from this tour are breathtaking and the rich history you will learn from entertaining guides will be the best thing you can do during your visit to the Second City. By far the best bang for your buck tour in the entire country. Enjoy Long Island’s North Fork and avoid large crowds on this New Jersey Bike Tour by Pour and Pedal. Explore picturesque vineyards and sample some incredible wine directly from the folks that make it. Some of the wineries you will sample from are Pellegrini’s, Raphael, Lenz Winery, and Pugliese. The road meets water on this tour where you will be biking through rugged terrain and after your bicycles suspension has had enough exercise you will be able to kayak below the mountain. Gaze upon grazing bison during this wild expedition. Pedal and paddle through unadulterated nature and breath in the crisp clean air of Wyoming. If you heart NY this tour is the one for you. An hour and a half journey through Williamsburg and Greenpoint you will get a sense of the trendiest neighborhoods in New York as you ride through the city making your way to North Brooklyn Farms where upstairs you will be treated to a family style dinner on a long reclaimed wooden table. With the sky above you and the Williamsburg Bridge in front of you, the scenery will make for one unforgettable night on this top ten guided bike tour in America. This Seattle bicycle tour starts on wheels and ends on waves, as after the tour you will be lead to the Washington State Ferry. After the ferry-ride you will be riding through beautiful Bainbridge Island, which is the size of Manhattan but with only 29,000 residents. Covering around 18 miles you’ll be sure to work up a hunger, luckily there are stops at local cafes and bakeries for snacks. At the end of the ride you’ll be at Pointe White to hopefully get a glimpse of bald eagles and sunbathing seals before hoping back on the ferry. On this 32-mile tour you will be riding alongside the lovely Atlantic Ocean, through Cousins Island. You will get views of iconic Maine lighthouses and be treat to the buttery heaven that is an authentic Maine Lobster Roll. The Grand Canyon is a breathtaking site and the best way to experience the scope of its size is this 6 mile bike ride around this geological wonder. On this tour you will learn interesting facts about the creation of the canyon, its first inhabitants and how important this landmark was to surrounding indigenous tribes. After this tour has exhausted you there will be iced coffee and sandwiches to replenish your energy at Angel Bicycles Café and to watch the sunset of this majestic natural monument. “From the frosty bite of a raspberry snowball on a hot summer day to the soothing slurp of a gumbo thick with fresh shrimp and andouille sausage, a day out in New Orleans is defined by what you eat. Fried oyster po’ boys, pork boudin or crawfish freshly caught and boiled with a bunch of corn and potatoes are just a few of the things we can’t imagine living without and we can easily forget how spoiled we are because of it.” These are the words Jeff Shyman who founded Confederacy of Cruisers. If you want to take a ride through the streets and a taste through the history of New Orleans this tour has you covered. They don’t call Portland “Beervana” for nothing. With 40 microbreweries and brewpubs in the city the best way to explore them is of course on a bike. At 5 miles and an easy 3 hours to cover it you will work up a thirst and the stops with get you quenched. Along the way they’ll point out all the best bars, restaurants and many Portland sights including Powell’s Books, Stumptown Coffee, Downtown, the Pearl District and Northwest Portland. 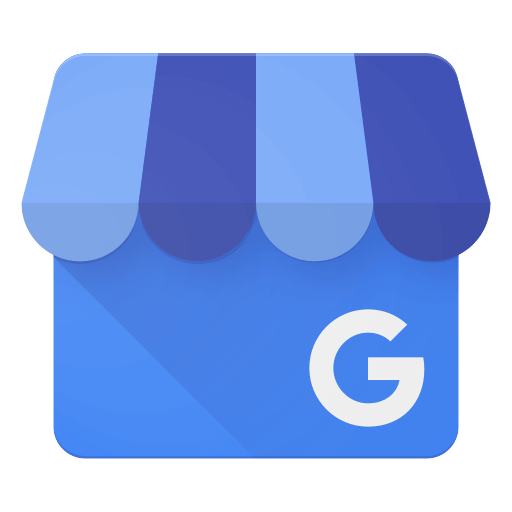 If you are in the area check them out and take a spin. LA is chalk full of glitz and glamour but if you want to see the “real” Los Angeles take Art Palacios Taco Tour of the city. As you may have gleaned from the name this tour will have you riding around the part of LA where locals reside to sample some of the tastiest and most authentic tacos the city has to offer. From fish to steak tacos this 9 miles ride is all you need on this tour to feel like the taco king.